Rowing Machine utilizes the technique of rowing that is a popular water activity. During rowing, various important sets of muscles are required to perform vigorous movements. Rowing machine helps in toning the major muscle groups of both the upper and lower parts of the body, muscles of abdomen, arms, shoulders, legs, back and buttocks. Hence, it is ideal for people who are very busy and do not have much time to exercise. 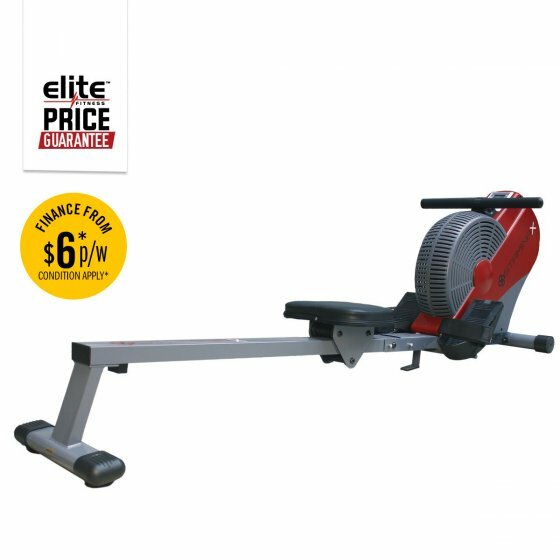 The Elite Stamina Rowing Machine has smooth air resistance action. The Stamina Rower features a 5 function Monitor Displaying Calorie, Distance, Speed, Time and Modes. The padded seat and ultra-smooth slide rail provides a great action while the air resistance system means the harder you row, the greater the resistance.